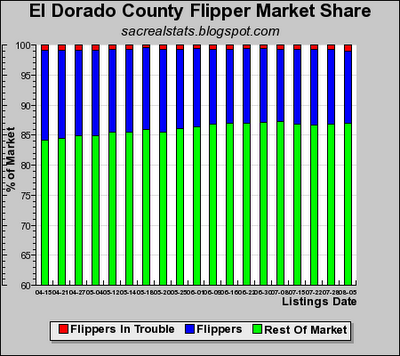 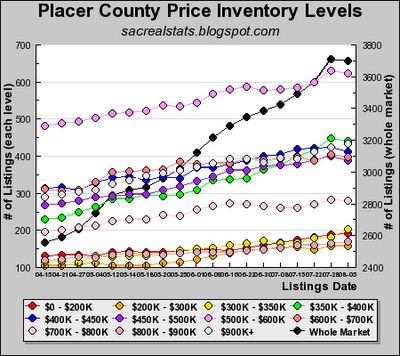 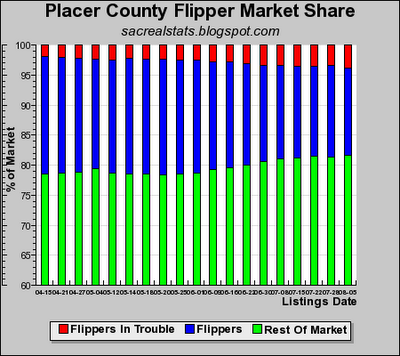 Max, it looks like the Placer County Flippers are still leading the pack of the four county Flippers-in-Trouble (aka FITs). 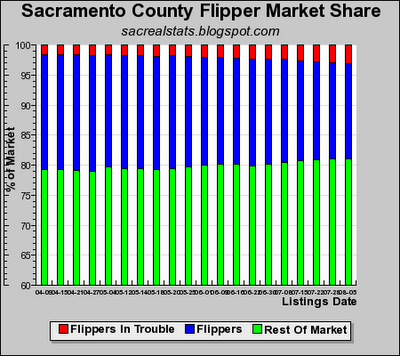 Your graph shows 23% of all Flippers are upside down, given their listed prices. 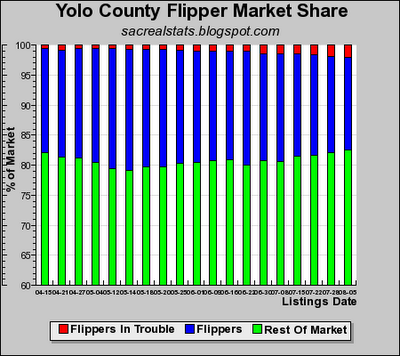 I will tell you there are a great many more that do not show up on your stats. 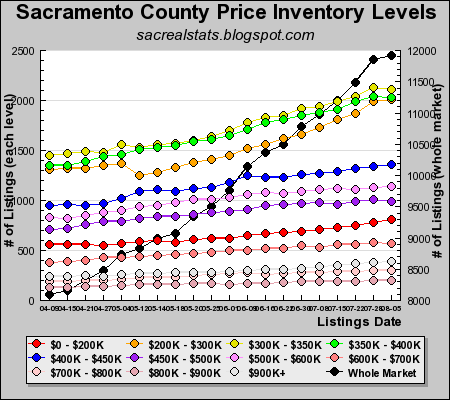 Some now realize they can not recover by selling and have decided to rent, suffering a large negative cash flow. 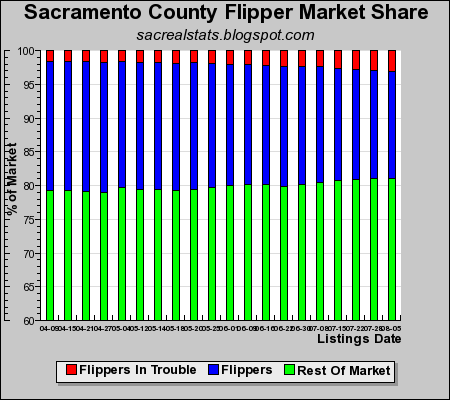 Others have not yet adjusted their listing prices to reflect reality, so they don't even know they are "FIT" to be tied. 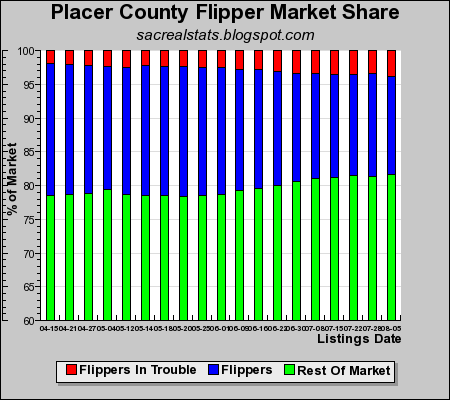 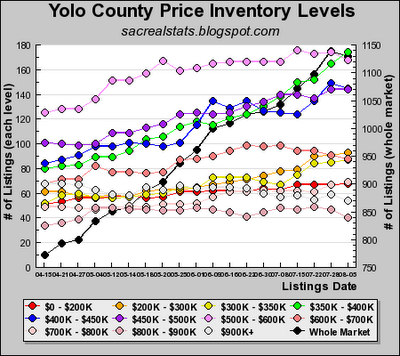 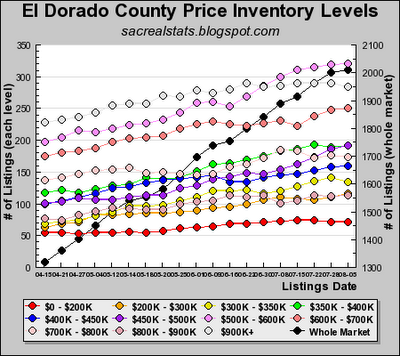 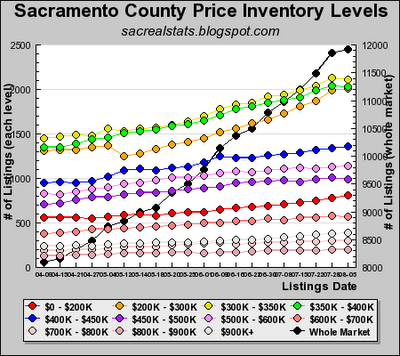 I predict these FIT stats will run above 50% of all Flippers in Placer County by December 2006.